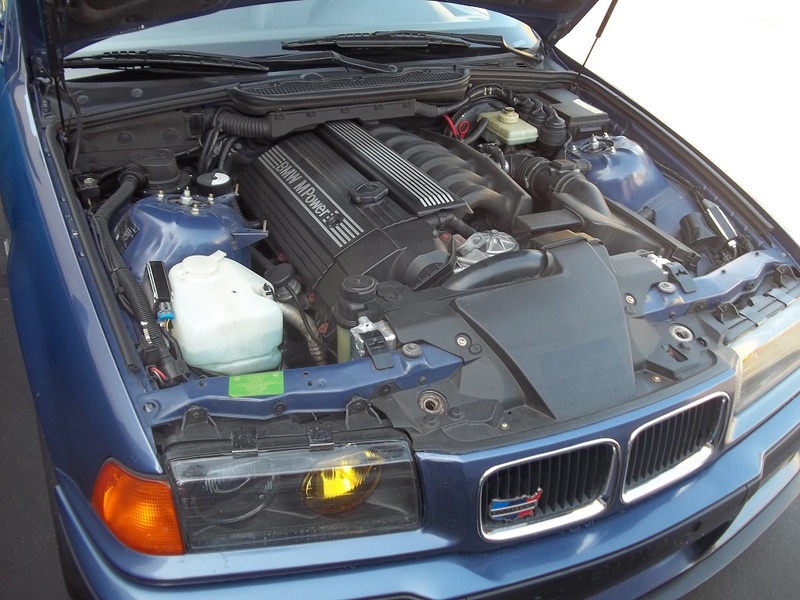 The S52 engine — the high-performance version of the 6-cylinder engine developed on the basis of the M52 engine for the sedan, a coupe and a cabriolet of BMW M3 in E36 chassis. The engine was intended only for North America as an alternative to 3,2-liter S50B32. The power S52B32US unit was issued from 1994 to 2000, and was made in a number of 37 790 units. Then the engine was replaced by S54B32. Coolant leaks The reason – plastic slim body of the thermostat. Overheating Fluid entering the cylinders when the engine is overheated: the cause – increased channel for the antifreeze in the cylinder head. Burnout pistons Cause of the problem – high speed and voracity of the oil. High level of motor oil consumption The reason is covered in an excessive pressure or, the piston rings wears out. Double VANOSshould be changed after every 200 thousand kilometers of run. Air leakage through the intake manifold and changing the lambda probe – one of the business cards of the motor. Air leakage through the intake manifold and changing the lambda probe – one of the business cards of the motor. Write comments if you want to learn more about S52 engine swap and tuning!